Law enforcement has adopted effective new technology to enhance patrol procedure strategies; however, new technology often invites critics over fears of privacy issues and possible abuse. The Automatic License Plate Reader (ALPR) is such a technology that is good for law enforcement and is controversial. The Automatic License Plate Reader (ALPR) is an image-processing technology designed to identify vehicles license plates. The ALPR uses optical character recognition that deploys algorithms to transform pixels of an image into text allowing the display of the license plate number. 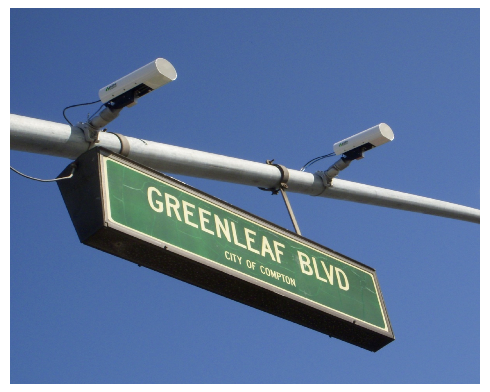 Automatic License Plate Reader (ALPR) technology can scan about 60 license plates per second. For example, if an officer is using side mounted ALPR cameras and driving in a parking lot with many vehicles such as a shopping mall, the officer can quickly scan the vehicles parked to check for stolen vehicles or plates. The ALPR system interfaces with the patrol vehicles software alerting to a possible stolen vehicle in the database. The officer then just needs to verify the vehicle or tag as stolen in the FBI National Crime Information Center (NCIC) database through the dispatching system. Lum, Merola, Willis, and Cave (2010) stated that ALPR technology makes policing efficient, and has a positive impact in the deterrence of vehicle theft. Law enforcement agencies have argued that ALPR technology is an effective patrol tool. Will the ALPR continued as a valuable tool for law enforcement? We cannot expect law enforcement to be effective if we restrict the use of technology. There needs to be policies in place as to how the data is used, stored, and shared but we should not limit the use of technology out of fear when our officers are working hard to protect their communities. Automated License Plate Readers/State Statues Regulating Their Use. Posted in Mark's Articles and tagged Automatic License Plate Reader (ALPR), Criminal Intelligence, Criminal Justice, Law Enforcement Technology, License Plate Reader, Police, Sheriff, Vehicle theft. Bookmark the permalink.